Scottish Co-operative Party members with the Party's Centenary banner at New Lanark. 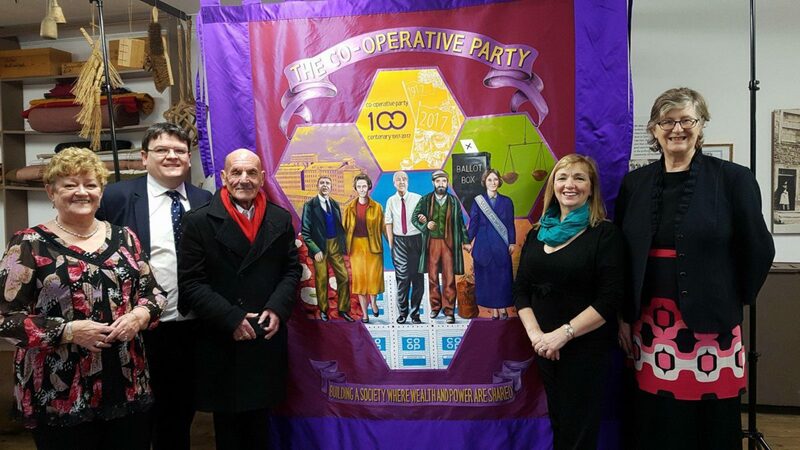 New Lanark’s pivotal role in the history of the co-operative movement is marked by its inclusion on the Co-operative Party’s new banner created to mark its centenary. As part of the Co-operative Party’s centenary celebrations Scottish Labour and Co-operative Regional List MSP Claudia Beamish, who lives near Lanark, took the banner to New Lanark World Heritage Centre on Friday 24th November.